You have to drive out from Tarnów down the Tuchowska Street and follow the road no 977 towards Tuchów. Right after the green board indicating the end of Tarnów you must turn left into the detached house development. Then drive straight on all the way long down the main, narrow road, along which the green trail runs. 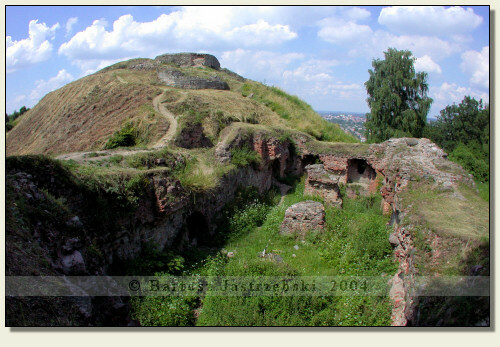 After around 500 m on the left side, on the hilltop, there are the ruins of the castle. 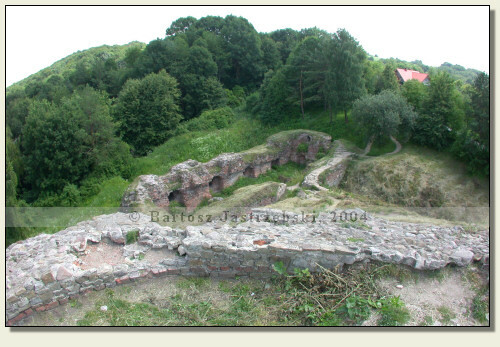 The castle in Tarnowiec was built between 1328 and 1331 by the province governor of Cracow, Spycimir Leliwita. 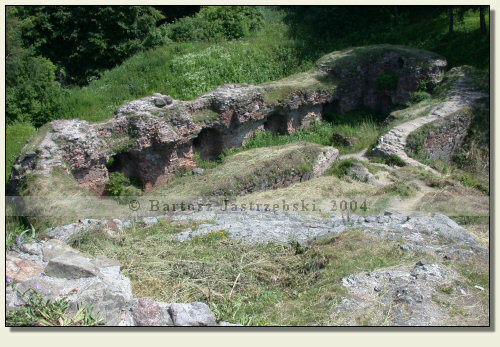 The stronghold arose in Tarnów Mały, which Spycimir received from Władysław Łokietek. 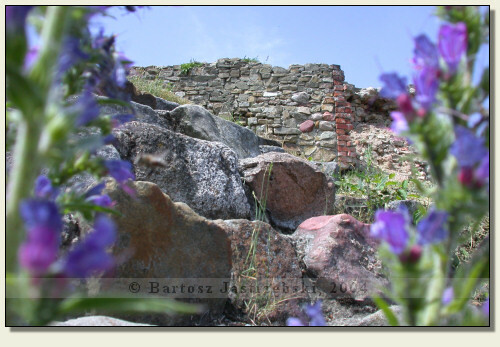 For two years the castle was the residence of the Leliwit-Tarnowski family, till 1441 when it was destroyed by the incursion of the Hungarians. The building was rebuilt by hetman Jan Amor Tarnowski, who not only restored it to its former glory but also made it one of the most imposing castles. After the death of Jan Amor as well as his son Jan Krzysztof, in 1570 there happened a siege of the castle by Stanisław Tarnowski - one of two claimants to receive the stronghold in bequest. He conquered the castle but he was unable to maintain it and since then the building started to deteriorate. The successive owners practically were not using the castle at all, and in the middle of the XVIIIth cent. the disassembly of the walls was initiated. 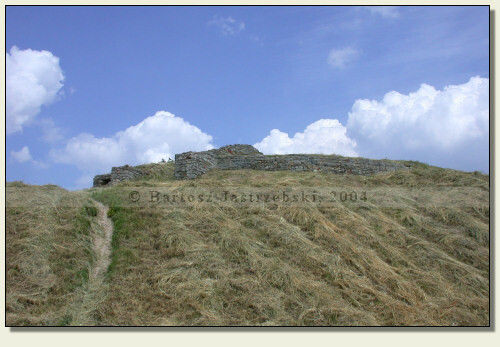 The fate of the castle was sealed by raising a mound on st. Marcin Hill in 1848 in honor of the insurgents from 1846.